Stop Trump's Dirty Water Rule! Submit a Comment to Protect the Clean Water Act. Clean water is a basic human right. Yet Trump and Acting EPA Andrew Wheeler just announced their Dirty Water Rule -- a dangerous plan to roll back safeguards for our clean water and put our families, communities, environment, and economy at risk. We refuse to let the Trump administration gut commonsense protections for our drinking water and wetlands. And we demand that the water coming out of our taps is safe for our families to drink. 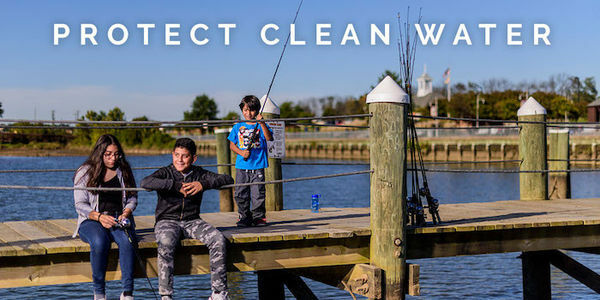 Strong water protections are critical to ensuring clean, healthy communities for all of us. Submit an official public comment now and stop the Dirty Water Rule! We need to be doing more, not less, to protect clean water. Yet instead, the EPA is proposing to gut the Clean Water Act, one of our most important bedrock environmental laws that has helped to clean up and safeguard our waterways for the last 45 years.. The Trump Administration's Dirty Water Rule is a shameless move to put the profits of polluters ahead of the health of our communities, families, environment, and economy. I am strongly opposed to this proposal and any rollback of our clean water safeguards. The science is clear: all water is connected and the small streams and wetlands whose protections are put in jeopardy by this rule are essential to the larger lakes and rivers that feed our drinking water. It is not safe to pollute any of our waterways, and we must do more to protect ensure all communities have access to clean water. The EPA must abandon this Dirty Water Rule and instead, stand up for our families and communities, not corporate polluters.